Greetings, Groove-ophiles! 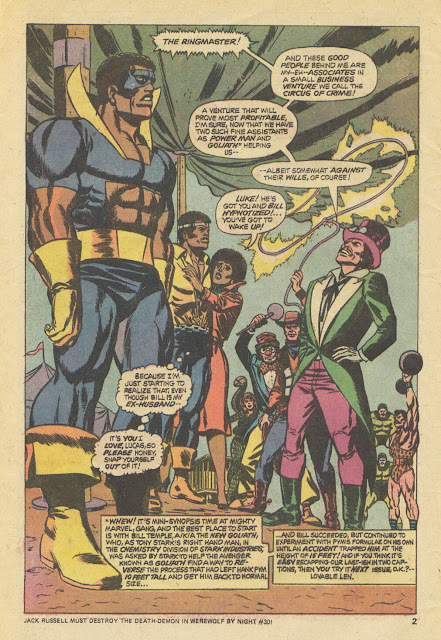 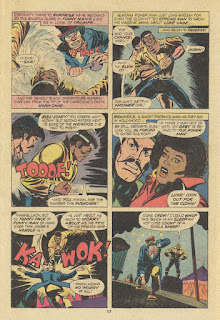 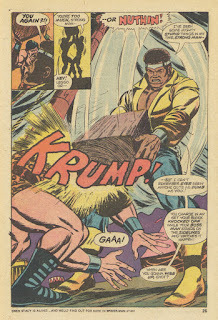 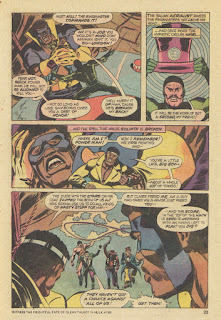 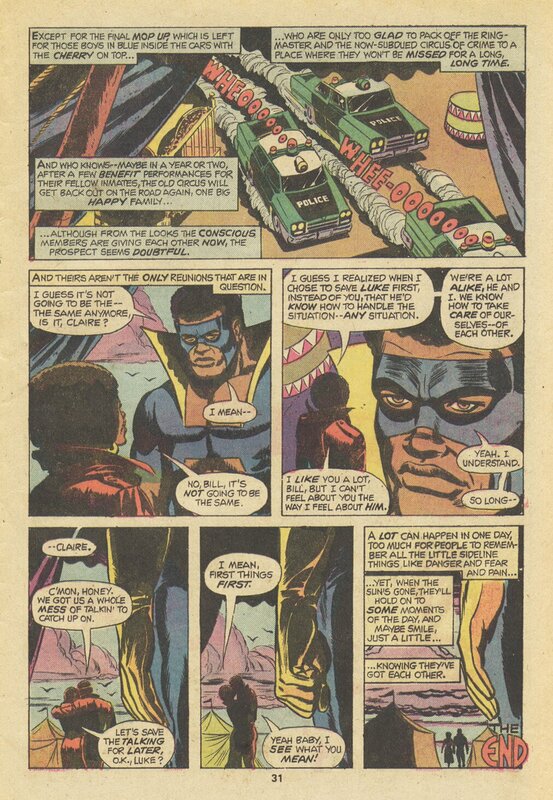 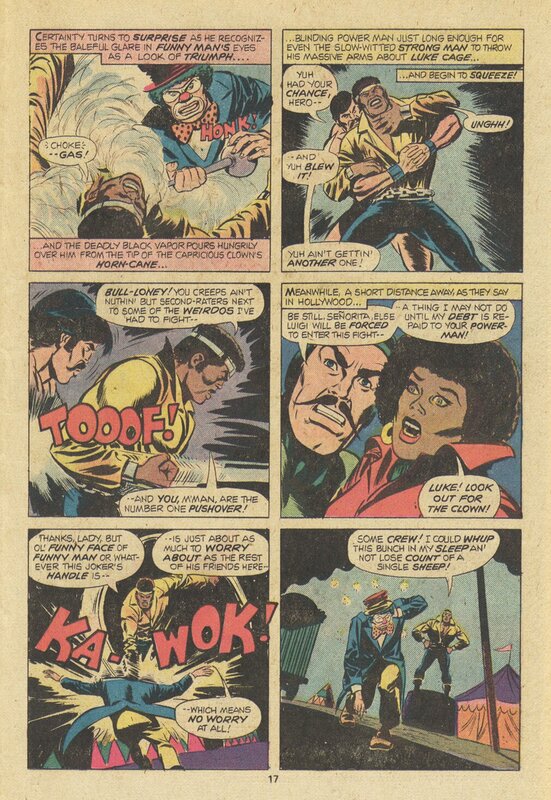 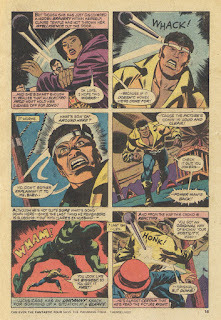 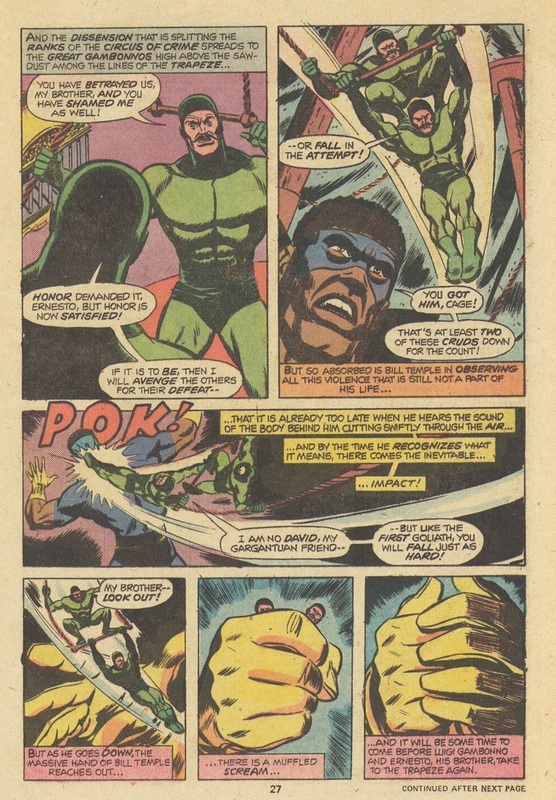 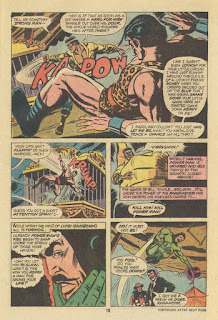 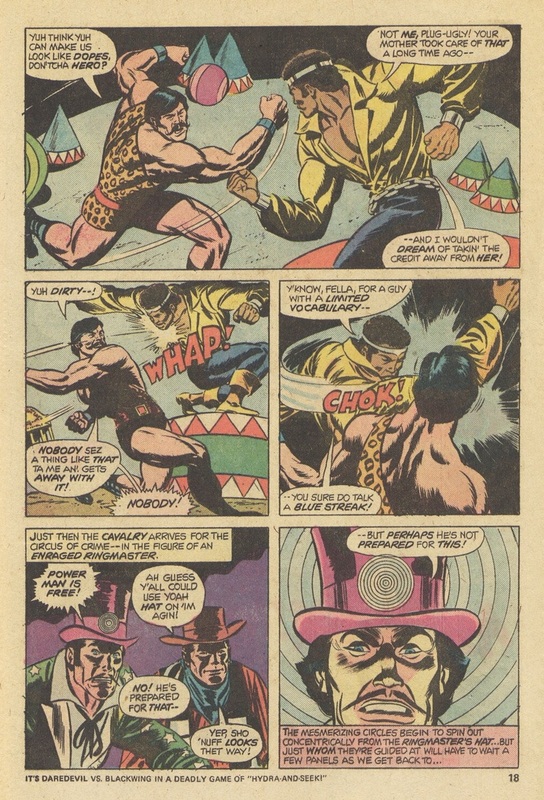 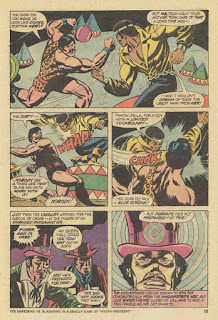 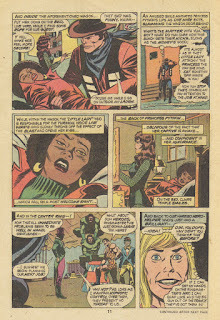 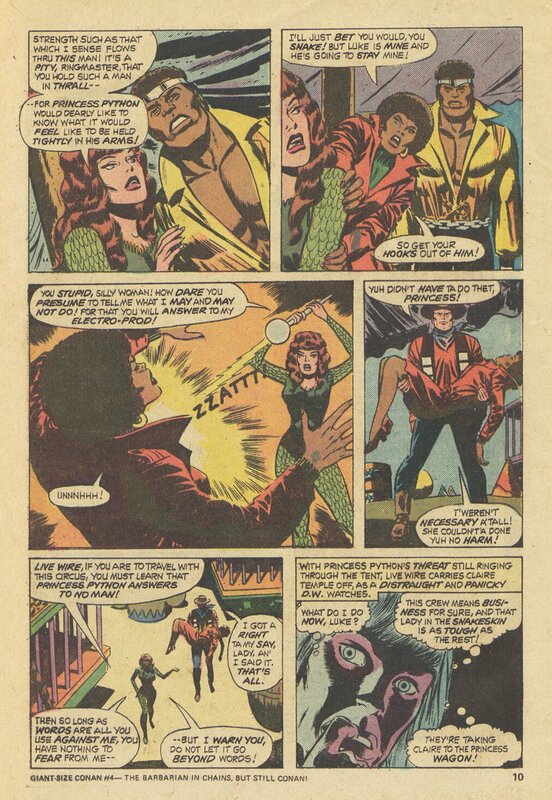 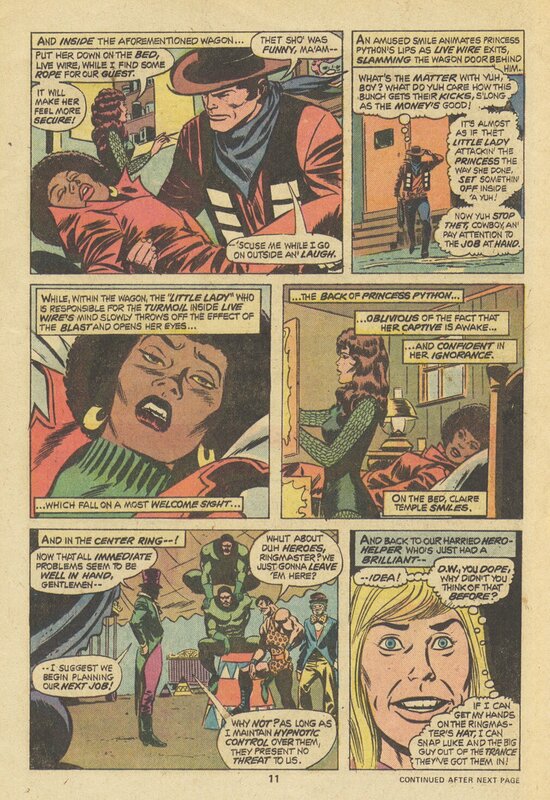 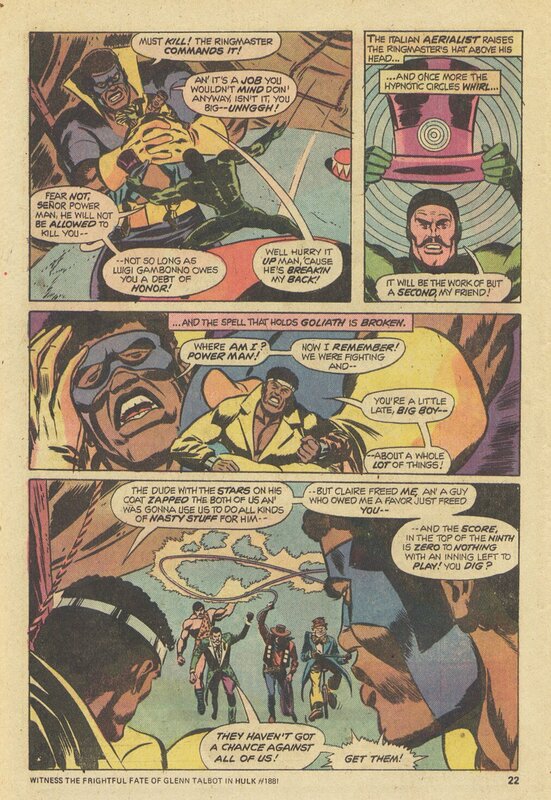 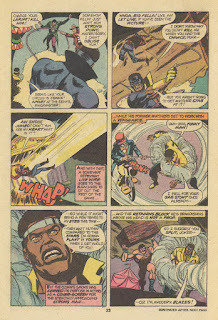 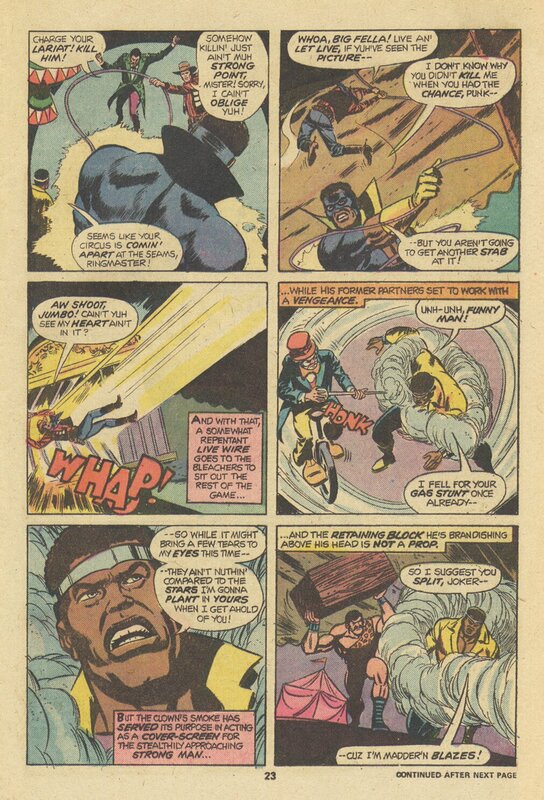 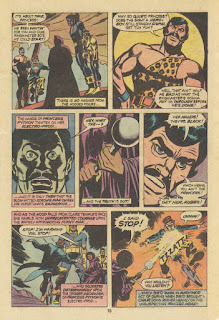 Here's part two (part one was back in June, right here) of Black Goliath's debut from Power Man #25 (March 1975)--at last! 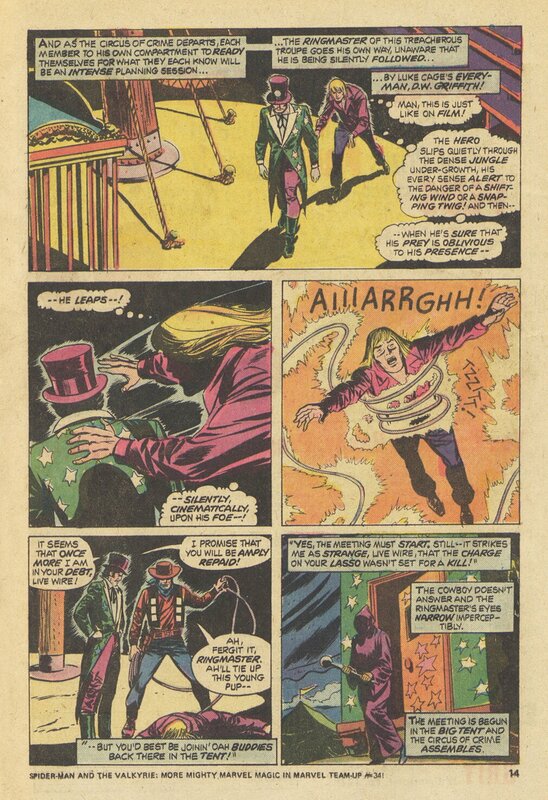 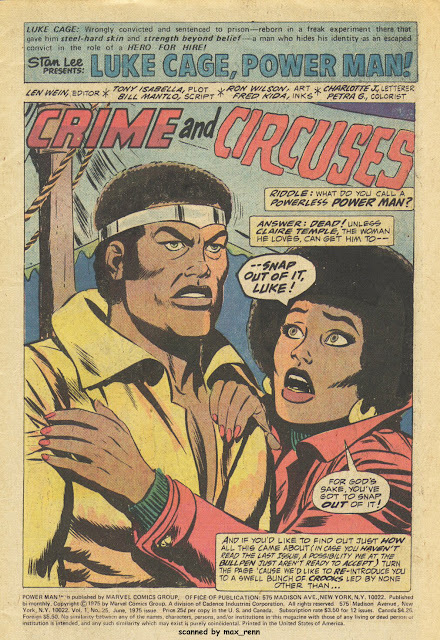 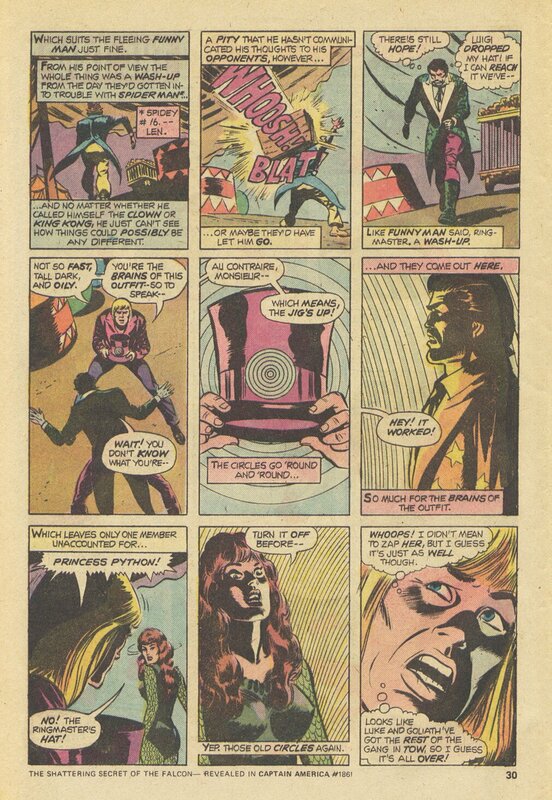 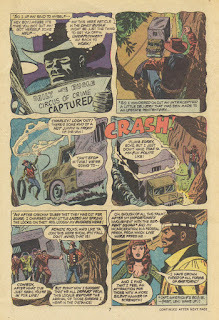 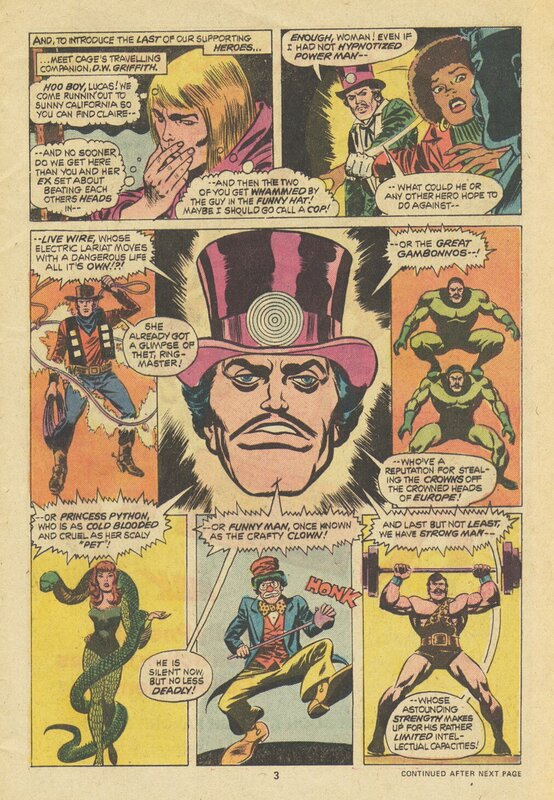 Plotted by Tony Isabella, plotted by Bill Mantlo (his color comics debut), penciled by Ron Wilson, and inked by Fred Kida prepare for..."Crime and Circuses!" 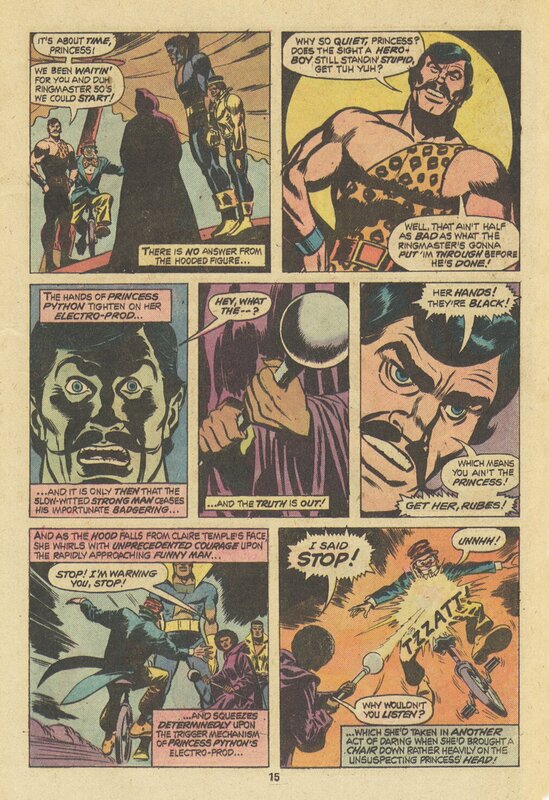 It's taken about 40 years but at last I've seen the only appearance of Black Goliath I'd missed! 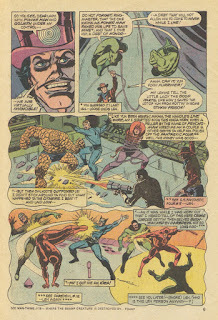 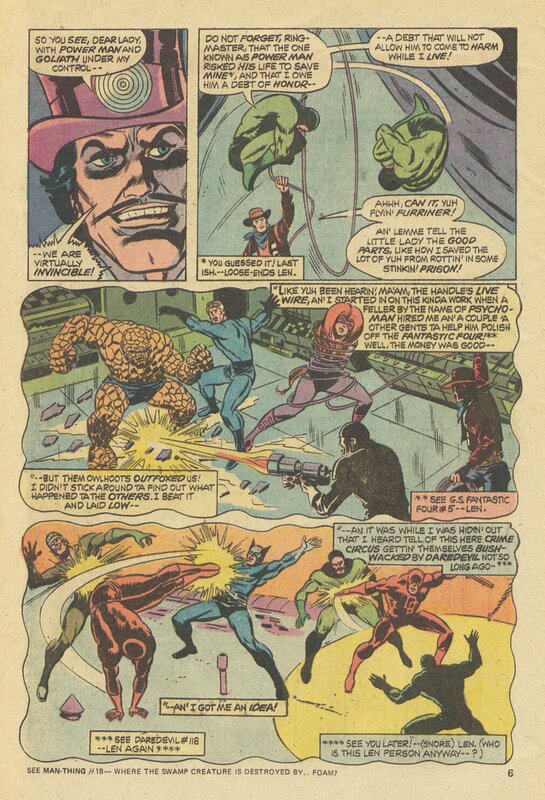 I understand that Marvel had a need for talent as they rapidly expanded in the 70s. 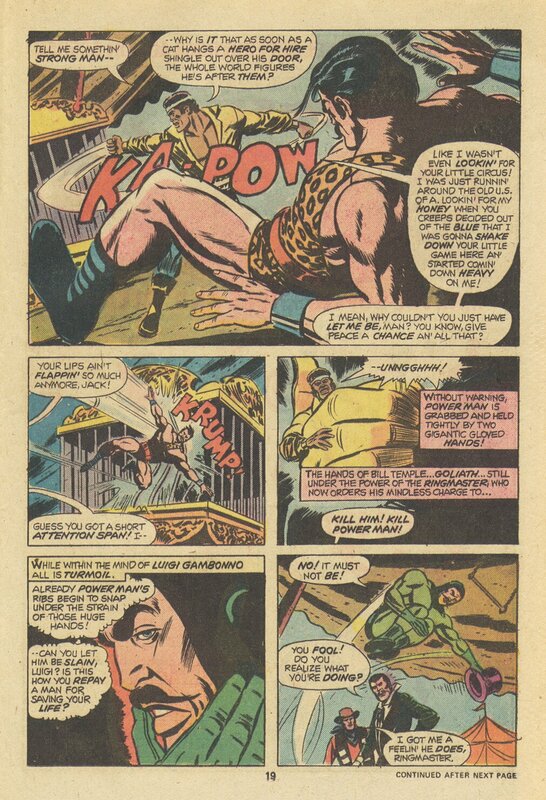 And golden agers were given work out of a sense of loyalty. 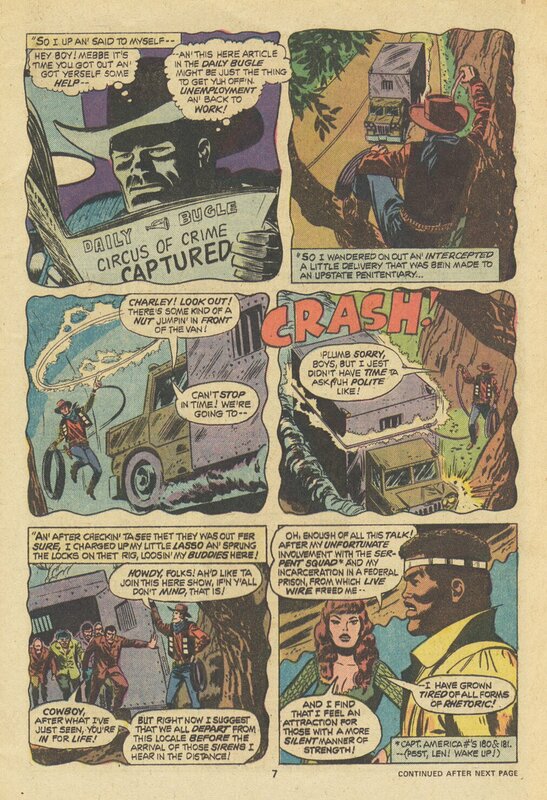 But Fred Kida's flat inks added nothing to the stories he embellished. 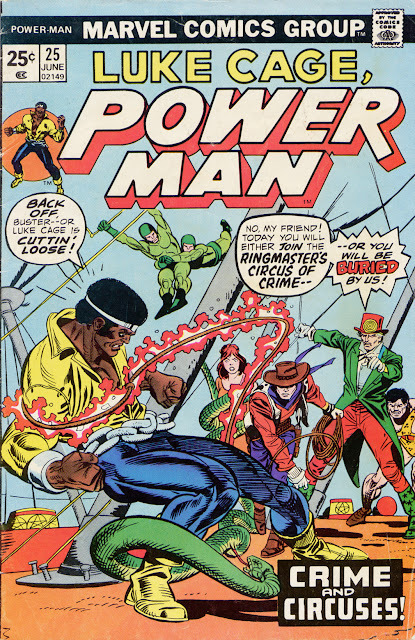 This is one of those comic books that makes you realize just how thinly the talent was spread at Marvel in the mid-1970s. 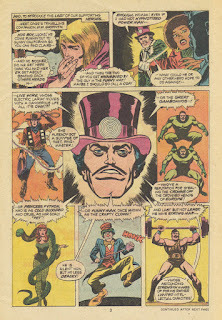 You had the really great stuff, the "noble experiments," and then you had too many like this, that seemed to just be taking up space on the spinner rack.